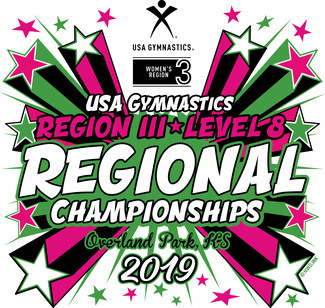 Pinnacle Gymnastics is excited to be hosting Level 8 Regionals at Johnson County Community College in Overland Park Kansas. We would love to have your help in making the meet a success! We are seeking judge volunteers to help with warm up timing, beam routine timing, line judging, and score entry. We appreciate your willingness to help at the meet. As a thank you for your help the Kansas State Administrative Committee will compensate rooms for out of state judge volunteers. Judges who volunteer at two or three sessions will be compensated 50% of one room at the host hotel for one night. Judges who volunteer at four or five sessions will be compensated 100% of one room at the host hotel for one night. Judges who volunteer at six or seven sessions will be compensated 100% of one room at the host hotel for two nights. Judges who volunteer at eight sessions will be compensated 100% of one room at the host hotel for three nights. Please note that the session times listed are estimated times. We will have a final schedule/times once entries have been submitted. If you have any questions please let me know. Thank you in advanced for helping to make this a great event for Region 3 athletes!